“I wouldn’t say it troubles us, but it saddens us,” said James Addison, who oversees growth and business development at nearby Caveat. 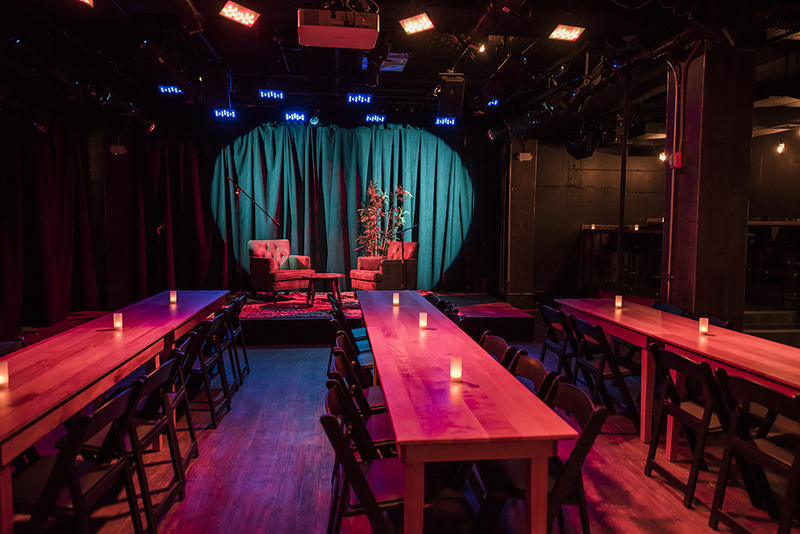 His multipurpose venue, which has many comedy offerings, opened on Clinton Street in 2017. Addison emphasized that rent for a performance space in the area is not cheap. UCB’s East Village location, which stands near the corner of East 3rd Street and Avenue A, opened in 2011. According to a statement released on January 10th, the closure doesn’t mean that UCB is disappearing—just whittling down its offerings. They will still be fully operative at their flagship location in Hell’s Kitchen, and for a downtown alternative, they will be hosting three shows a week at SubCulture on Bleecker Street. 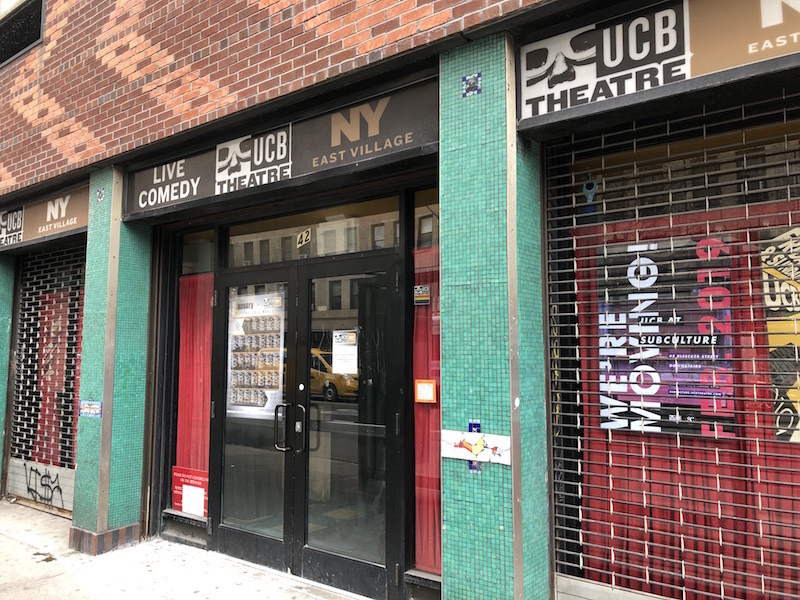 UCB is not a traditional club like the Comedy Cellar—it houses “improv, sketch, stand-up comedy, variety shows, and cool/weird stuff that defies categorization,” according to its website—but it is a comedy-only venue that is ticketed. Lawrence believes comedy nights in spots like Lucky Jack’s and Old Man Hustle are growing more attractive because they don’t have cover charges; they offer laughs for the price of a single beer. 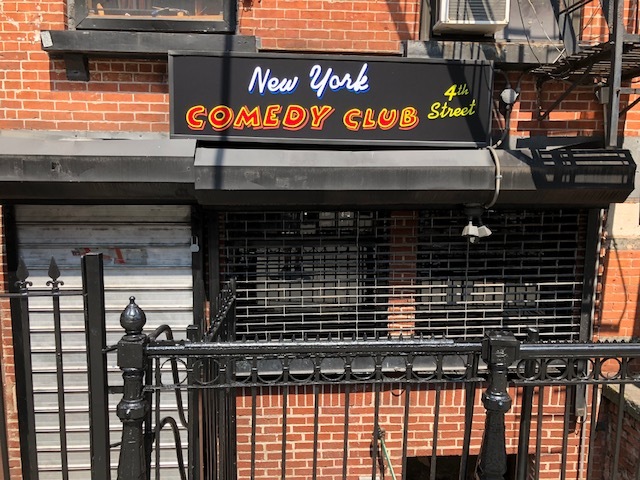 New York Comedy Club is something of an anomaly—the Gramercy stand-up institution has been in business for almost 30 years, and recently opened an East Village location (in the same spot, coincidentally, that EastVille Comedy Club once stood. EastVille has since moved to Brooklyn). “One of the reasons we were attracted to the East Village was that there weren’t a lot of comedy clubs,” said Emilio Savone, who is, with Scott Lindner, a co-owner. “Bar shows and hybrid venues are great, but that isn’t what we do.” They are a comedy club proper—people come “not for the food or the drinks, but because they want to see the comedy.” Savone maintains this emphasis keeps show quality high and brings in well-known comedians, like Judah Friedlander and Pete Davidson. But it also brings the average ticket price up to around $25. That business model is the exception, not the rule, in the East Village. For a newer, hybrid venue like Caveat, where ticket prices hover around $10-$12, standing out is a financial strategy. They house unusual, brainy events like “Eco Tripping: Beats, Rhymes, and the Anthropocene,” a musical comedy show about climate change. That isn’t what fans of traditional comedy are necessarily used to. “Once people get here and see our shows, they start to trust,” Addison said of combatting initial reluctance, and mentioned that Caveat depends largely upon word-of-mouth for drawing crowds. Building that kind of popularity takes time, and time requires financial risk, but being the weird kid on the block can also pay off: it’s taken at least a year, but Caveat is now selling out lots of its regular shows. Meanwhile, as UCB East looks to its final weekend, farewells are in order for a neighborhood institution. “We are forever grateful to the incredible staff, performers and countless dedicated UCB-ers,” they wrote in an emailed statement, thanking those who “[made] it possible for us to perform and view alternative comedy in NYC.” The SubCulture collaboration, which begins on February 15th, will allow some of that feeling to continue. But to find more comedy in the neighborhood, it may be best to start looking in the places you’d least expect.